t’ll Change What You Expect From a Laser. The highest lasering speeds on the market.The brushless DC servo motors that we feature on the Fusion Laser are more robust than ever before. Combined with the other motion control features, we provide our fastest engraving speeds ever. And when cutting through thin materials like 1/8″ wood, you’ll see increased speeds up to 150%. We’ve loaded the Fusion Laser with the latest features. Imagine driving your laser directly from a joystick – it’s possible now! When cutting through scrap material or even when you just want to doodle with the laser it’s possible with the unique joystick driven Press ‘n Go feature on the laser. 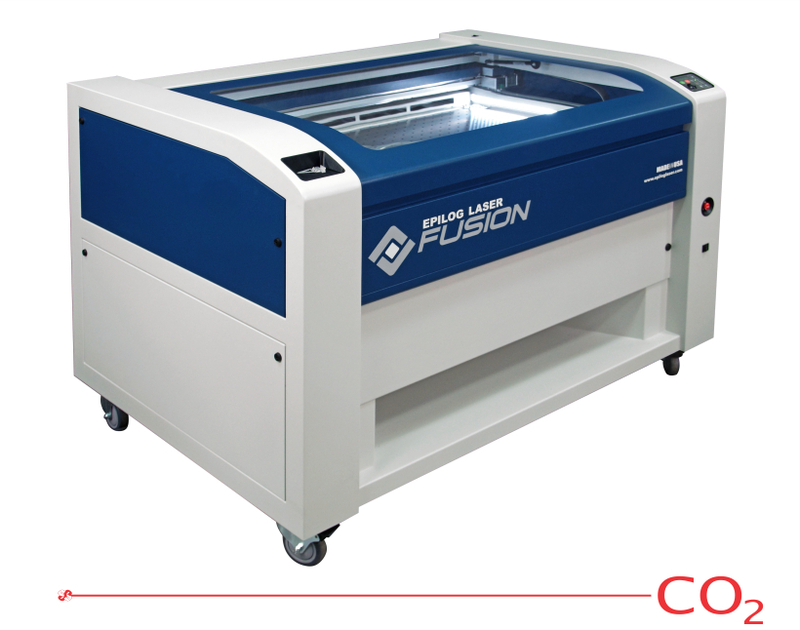 We’ve also designed the Fusion Laser with a bi-directional USB port that can be connected to a new project manager called the Epilog Control Center. Estimate job times before you run them, record times of past jobs, and use some of the latest advanced positioning features available on a laser.